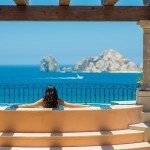 What’s the scam at Villa del Palmar Timeshare? There is no scam! The timeshare deals may appear too good to be true but in fact there is no scam, just great products. The Villa Group is a legitimate timeshare developer with over 25 years experience and a good reputation. If you buy a Villa del Palmar unit directly from The Villa Group, there is no danger of falling foul of a scam. Nevertheless, it is important to note that not every timeshare company is as trustworthy as The Villa Group and there are scams that could cost you more than a few dollars. Most of the scams are not actually timeshare companies but people pretending to be or making the most out of people’s lack of suspicion. If you plan to buy a Villa del Palmar timeshare, then ensure you buy direct from The Villa Group and not through an online contact. 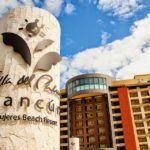 A popular scam to be on the lookout for once you have bought your Villa del Palmar timeshare are the resale scams. You might get a call from someone claiming to have a buyer for your unit and all you have to do is pay a fee to join their agency to sell it. Needless to say, you never see that money again and you have fallen victim to a scam. Perhaps the easiest manner to avoid a scam is to carry out your own research and read reviews about the timeshare company you are dealing with. Always buy with a respected developer and you can avoid scams effortlessly. 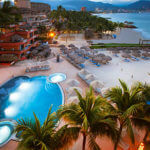 Share the post "Scams: Villa del Palmar Timeshare"